Are you a coffee fanatic? There are more than 500 billion cups of coffee served every year. Two thirds of the world's population drink coffee or cappuccino. 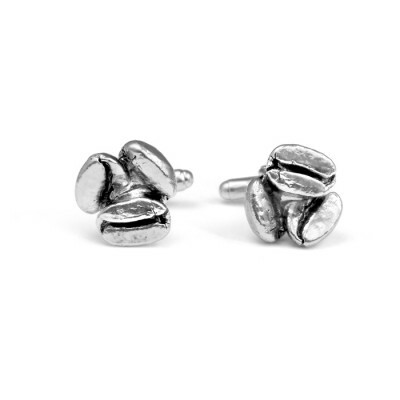 These handmade sterling silver coffee bean cufflinks are authentically hand-crafted and carefully made just like your favourite coffee.